Flexible employee expense management software solution for Windows users. 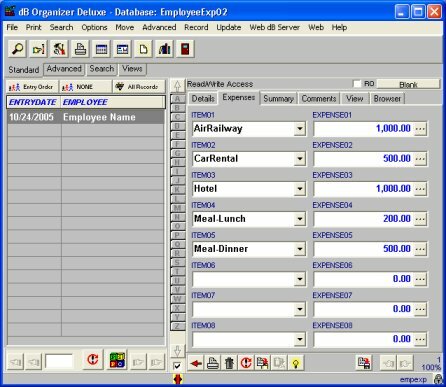 Manage and organize all employee expenses. 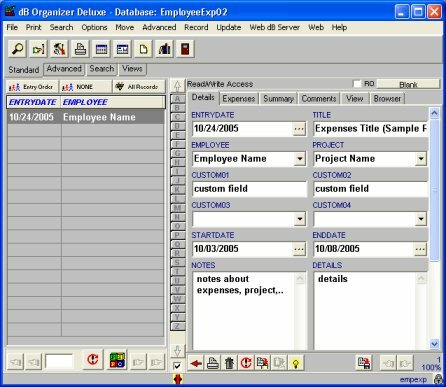 Track employee expenses including: expense date, expense title, employee name, project, start date, end date, notes, details, expense by type, expense summary, and more. Easily maintain information about all your employee's expenses. Print summary reports (by employee, project name, by month,..).